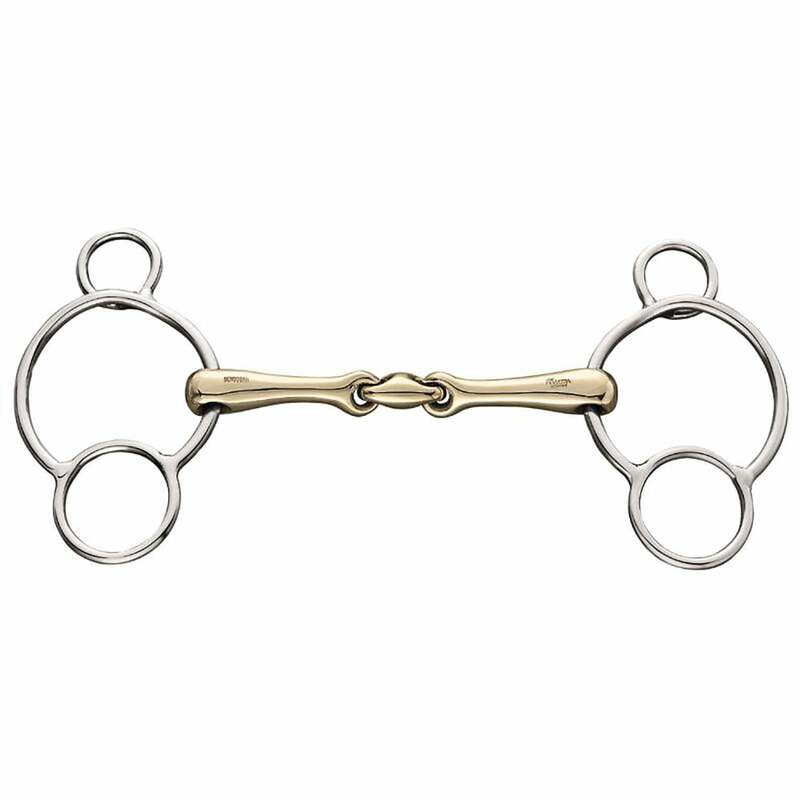 The Sprenger Sensogan KK Ultra Universal Bit features a middle link called a 'bean' that is shortened and angled forward by 45 degrees allowing the bit to lie gently on the tongue without squeezing when under contact. The tongue's sensitive touch is utilised and clear instructions can be given between horse and rider. The mouthpiece is shaped like the horses tongue and therefore takes up less room in the mouth without interfering with the palate. The Sensogan KK Ultra Universal Bit is very versatile due to the different rein options available. The lever action has a slight delay due to the lateral offset position of the upper ring. A Sprenger curb strap can also be added by the rider to get more direct action. The Sensogan material of the mouthpiece is the result of ongoing improvement of Sprenger's original bit material Aurigan. Sensogan contains manganese combined with zinc and a reduced copper content that results in a smoother and more regulated process of oxidation.